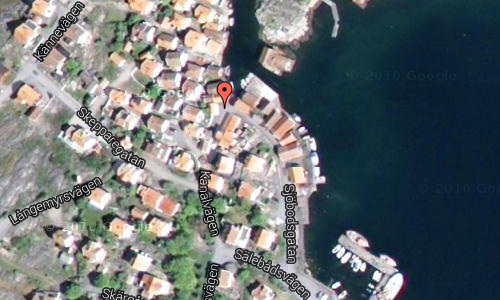 Sjöbodsgatan is a little street on the island Smögen, north of Göteborg. 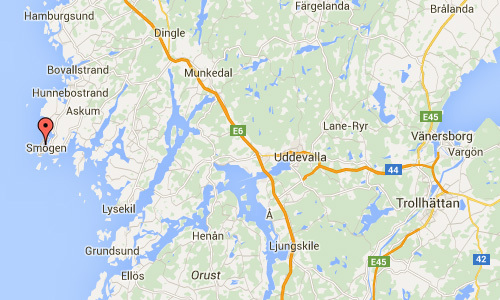 The area is also known as Sunnepinan on Hasselösund. 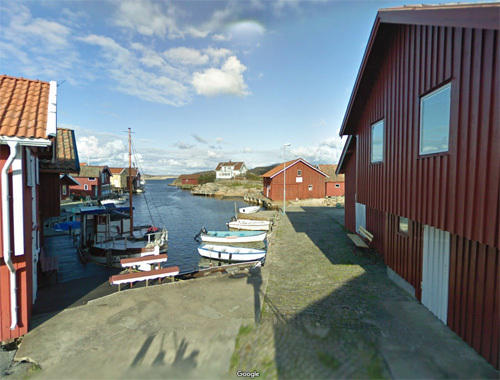 Smögen is a locality situated in Sotenäs Municipality, Västra Götaland County, Sweden with 1,329 inhabitants in 2010. 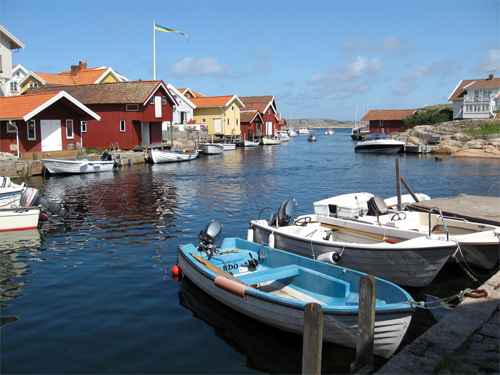 It is one of the liveliest “summer towns” of the Swedish west coast. The community actually straddled several islands that lay so close together that the space in between has since been filled, and is now considered as a single island. 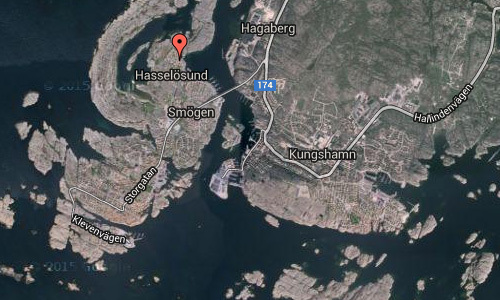 The southern part consists mostly of Smögen Island, which lies in the centre. Around this lies to the south Kleven, in the northwest Sandön, and in the northeast, Hasselön. 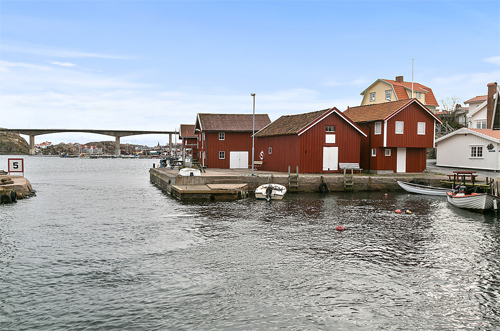 The town is connected to the neighbouring town Kungshamn by Smögenbron (Smögen Bridge). 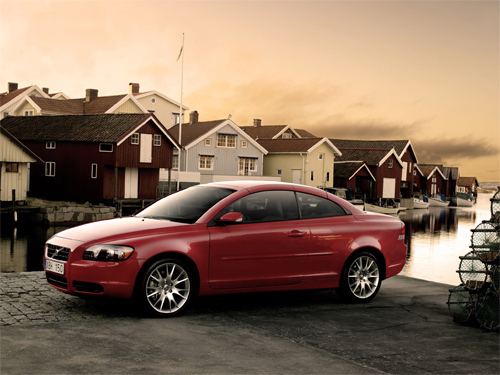 Smögen is mentioned for the first time towards the end of the 16th century. 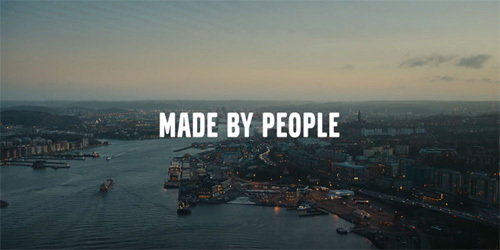 The name of the community has varied over the years; amongst other names, from “Smögit”, “Smöenn”, “Smöget” and “Smygesund”. 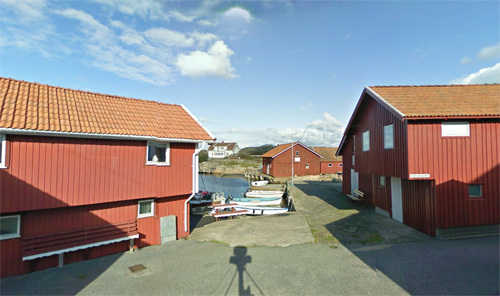 The name has probably come from the Swedish word smyghål, which translates as “sneak-hole” or “nook”, referring to the narrow inlet between the Smögen island and where the harbour lies. 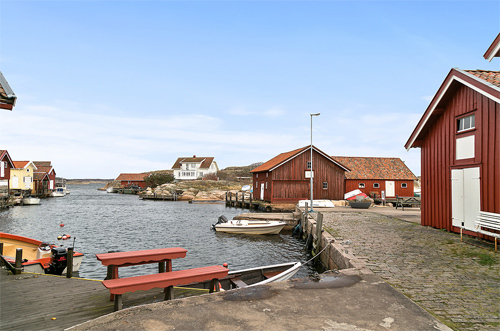 Around the 17th century, the island Hasselön was populated, and through the years this community has grown together with Smögen, and is today considered a part of the Smögen community. 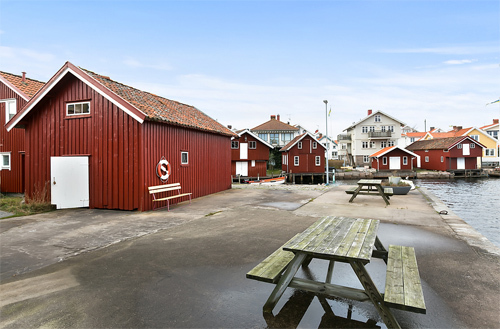 Today, Smögen is well known for its long, wooden pier, about 600 m (2,000 ft), filled with shops in old fishing huts, which are frequented by a multitude of tourists during the summer. 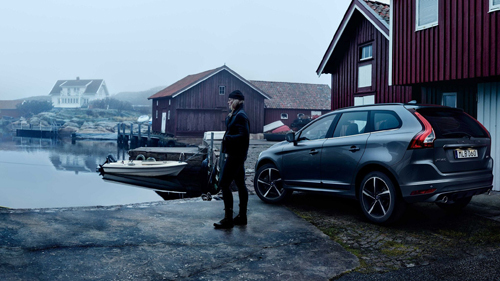 Smögen is one of the most popular tourist destinations on the Swedish west coast, well known for its fish, prawns and other seafood, and one of Sweden’s few fish markets is located here. 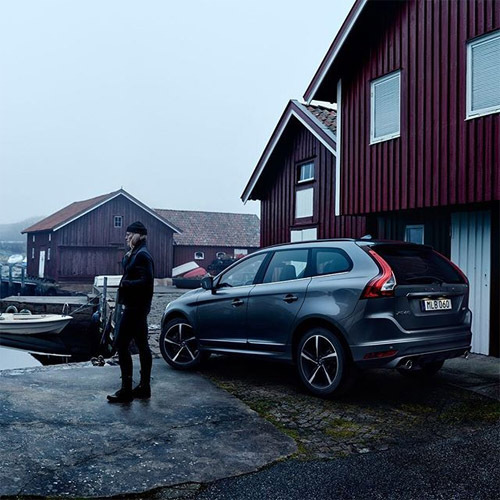 The photo of the Volvo XC60 is part of the 2016 campaign called MADE BY PEOPLE. 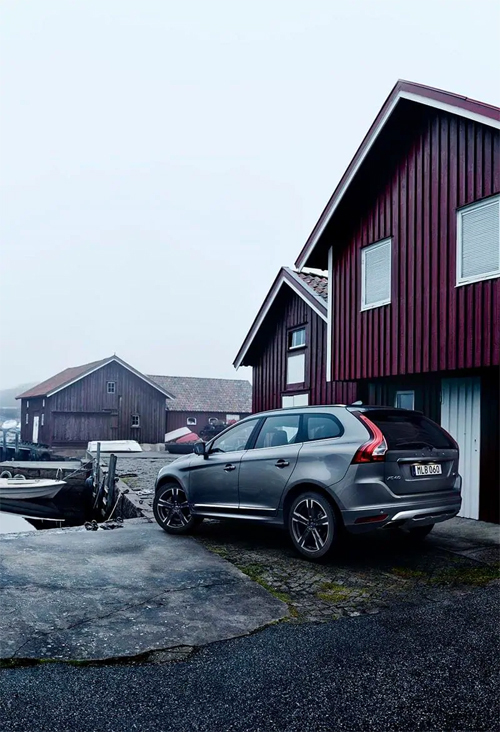 Pictured in the photo is Volvo Employee Anna Rynvall, User Experience & Connectivity Manager at Volvo Cars. Bring your life with you. The display on the center of the dashboard connects you to the rest of the world. 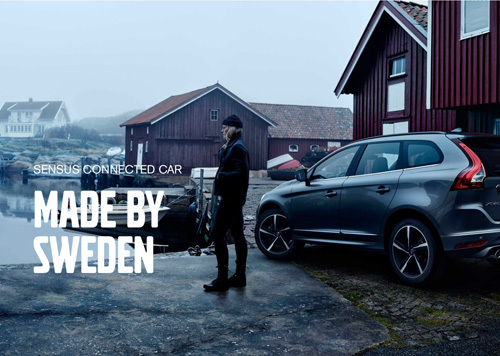 It entertains you, tells you how to get where you are going, connecting your phone, your music, your friends and everything you’re a part of. 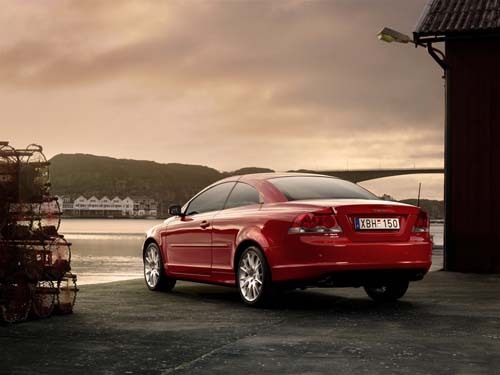 All in a way that actually makes you a safer driver, not the other way around. More information at en.wikipedia.org and www.vastsverige.com.